In a small pot, sprinkle unflavored gelatin over water and let sit for 5 minutes. 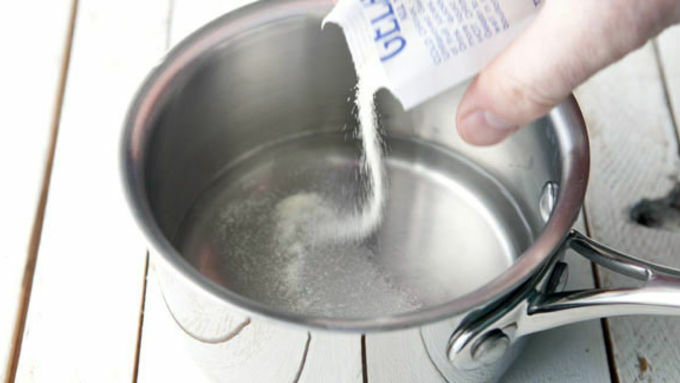 Then add sugar and heat over medium-low heat until sugar and gelatin are completely dissolved. Set aside to cool a bit. 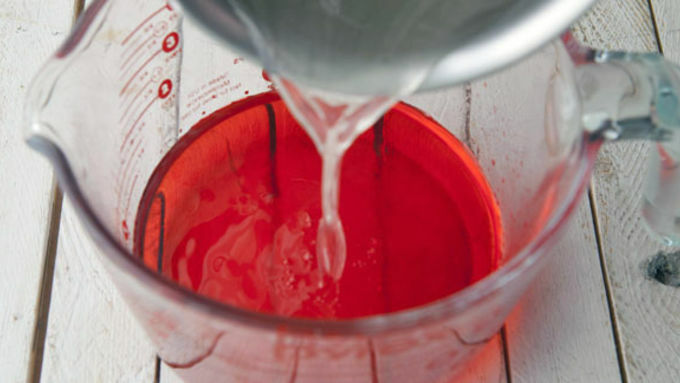 In a separate bowl, stir together vodka, grenadine syrup, and red food coloring. When gelatin mixture is dissolved, stir into the vodka mixture. 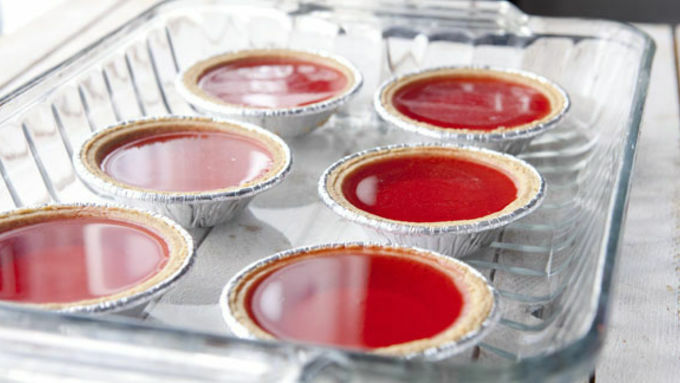 For easy clean up and transfer to the fridge, place the mini pies into a baking dish. Pour mixture into mini pie crusts. Transfer to the fridge and let chill for at least four hours. 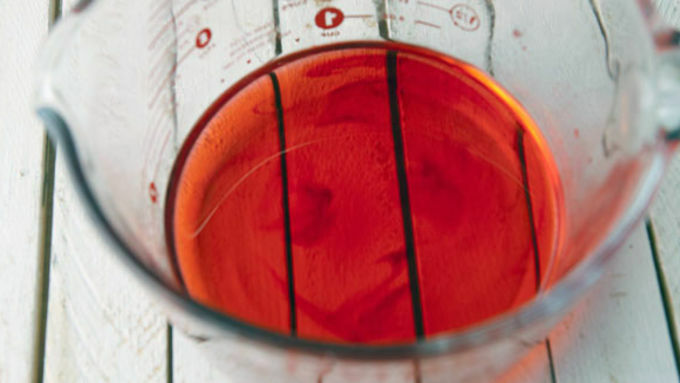 Cherry pie in jelly shot form – now that's deliciously creative. 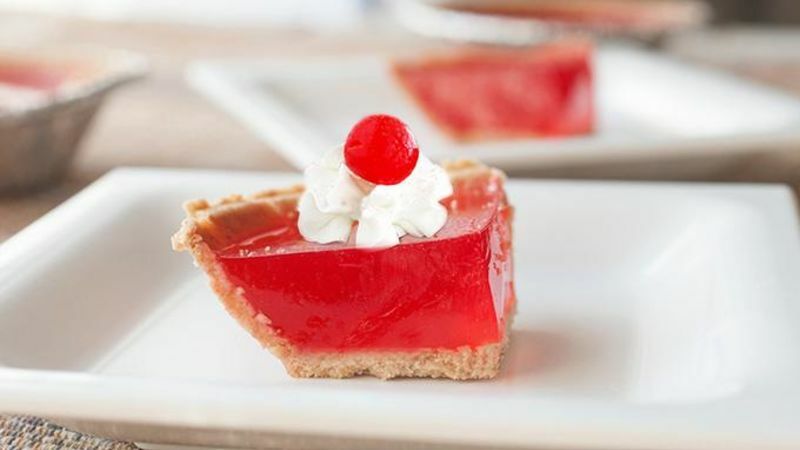 It’s National Cherry Pie Day! 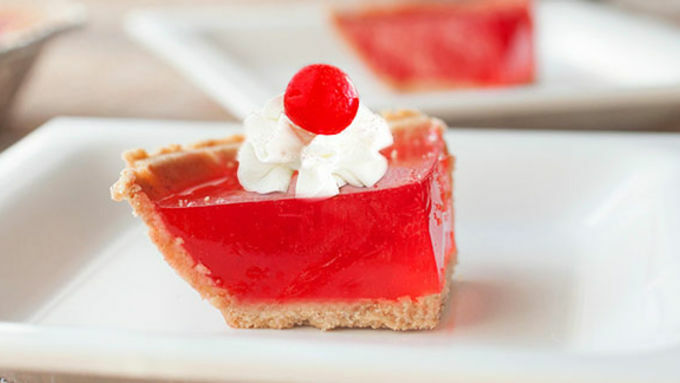 So you could make a plain-Jane cherry pie, but your guests have probably tasted that before. What they probably haven’t tasted yet are these boozy little mini cherry pies. 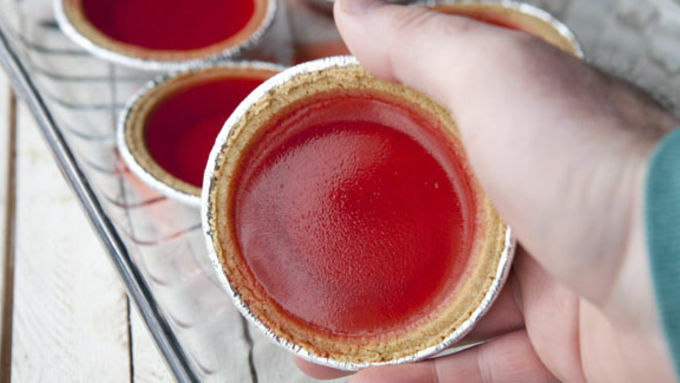 These Cherry Pie Jelly Shots are so cute you won’t want to eat them. Well, actually you'll definitely want to eat them, because they are delicious! The good news? It's way easier to make 'em than it looks. I like to use the real deal gelatin when I make jelly shots because it guarantees that they set up perfectly. The only trick with using the real stuff is to let it sit in the water for five minutes so it “blooms” (expands and dissolves). If you don’t do this step, your mix might have some clumps in it. To serve these guys, cut each mini-pie into quarters and (if you want) garnish each shot with a bit of whipped cream and a maraschino cherry. Cheers to the cherry!